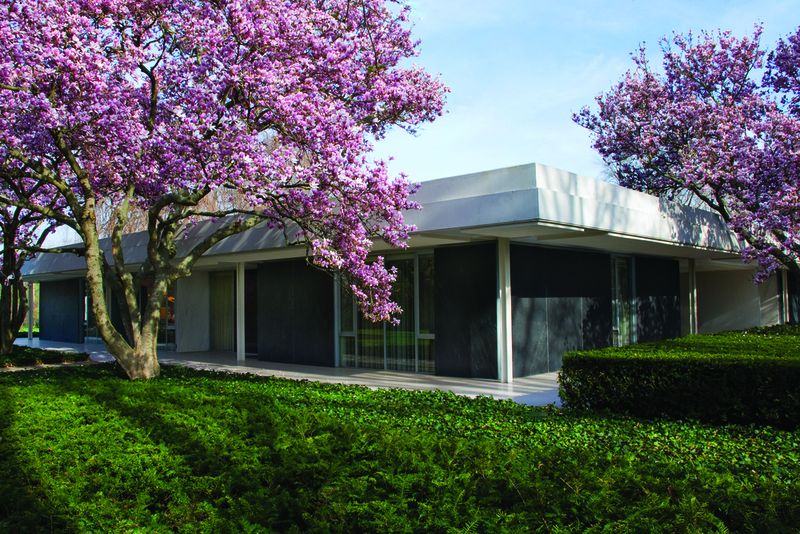 The focal point of the Arbuckle Architecture Tours Columbus, Indiana tour on October 16th-19th will be our special extended Curator’s Tour of the J. Irwin and Xenia Miller House led by Bradley C. Brooks, Director of Historic Resources at the Indianapolis Museum of Art. 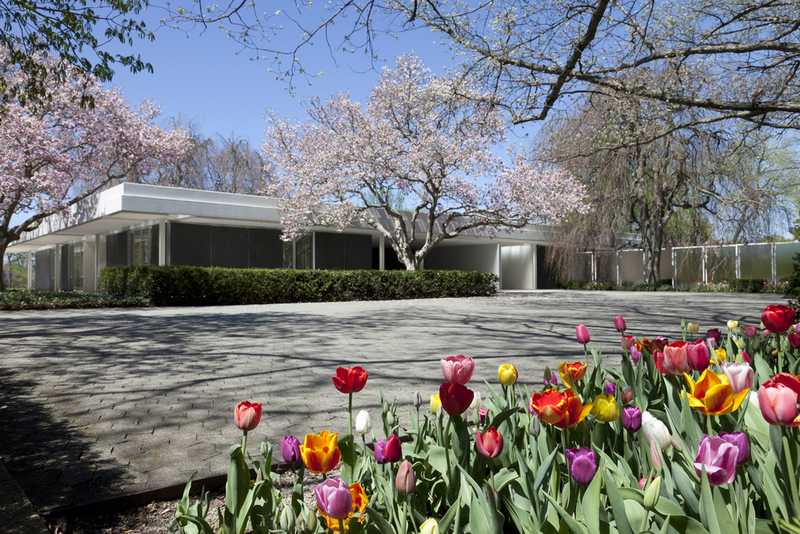 Completed in 1957, the Miller House is considered by many to be the most significant Modern house in America. This exceptional ensemble of architecture, landscape and interior design was created by a dream team comprised of the brilliant architect Eero Saarinen who was a close personal friend of the client, assisted by a young Kevin Roche who later received the Pritzker Prize, landscape architect Daniel Urban Kiley, arguably the foremost American landscape architect of the Post-war era, and gifted interior designer Alexander Girard. 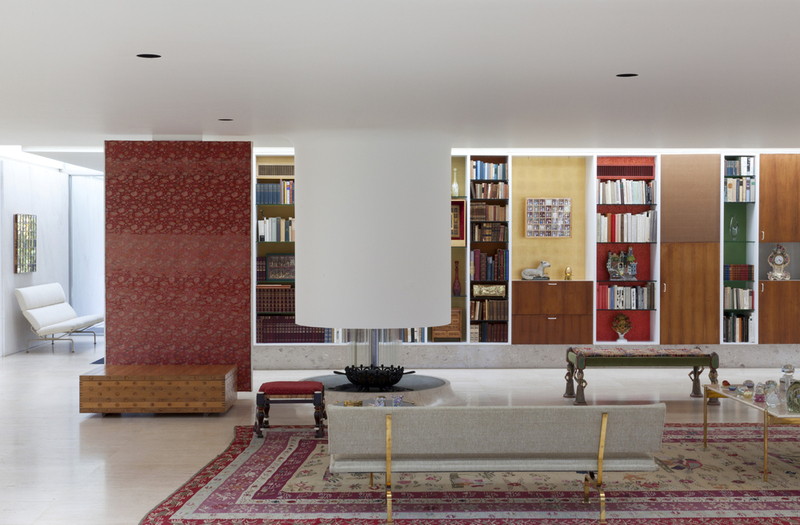 The house is one of very few residential commissions of Eero Saarinen and certainly his most significant. 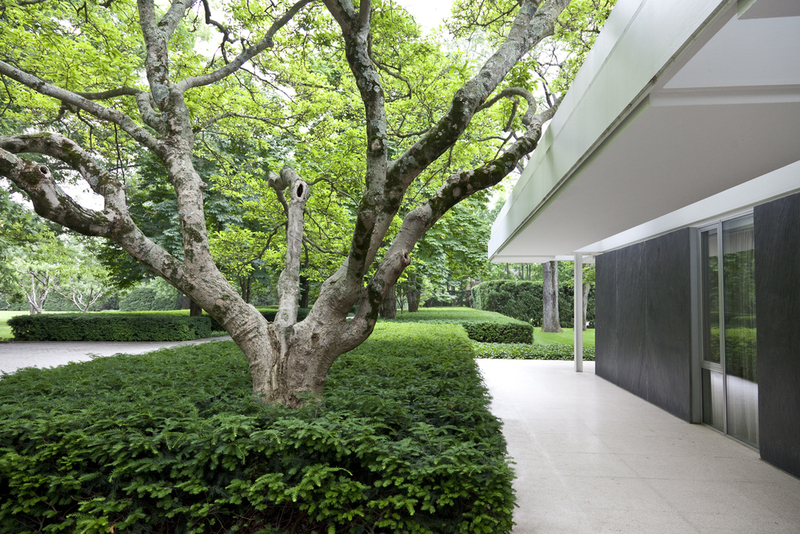 The garden is among Dan Kiley’s masterworks and one of the finest Modern gardens in the country. Most of the extensive inventory of Modern architecture in Columbus, Indiana came to be through the enlightened patronage of client J. Irwin Miller, longtime Chairman of the Cummins Engine Company. He and his wife Xenia Miller played an active role in the design of their home and provided the designers an almost limitless budget. Because of the remarkable extent and quality of the architecture he commissioned, Miller must be ranked among the leading American patrons of Modernism, perhaps as the preeminent one. Having passed directly from the Miller family to the Indianapolis Museum of Art, the house and grounds remain almost entirely original, retaining many of the custom furnishings and personal effects. When it was originally published in the architectural press, neither its location nor its owner was identified and for years it remained a closely guarded secret. The house was designated a National Historic Landmark in 2000 and opened to the public three years ago in 2011. If you have not seen the Miller House and garden, you have not seen Columbus.